A natal chart is a snapshot of the sky at the moment you were born. In essence, at the moment of your first breath is when you come into accord with the energies of the universe. That remains fixed throughout your lifetime. Your natal chart gives clues to your major life lessons, shows your destiny, reveals your personality traits and hidden desires, as well as points the way to your soul’s purpose. The easiest (*free! 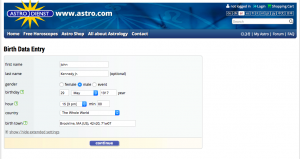 *) way to pull up your natal chart is through a well-renowned website known as astro.com. 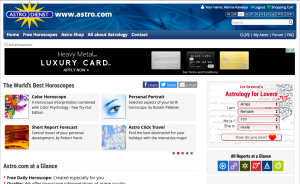 Some of the best astrologers in the world write for this site, so feel free to browse around. Better than having someone else tell you who you are, though, is gaining the power to know thyself. This is what we work on here in this ebook! Most birth certificates have this on record. If you don’t have your birth certificate on hand, call the state or country of your birth and request that a copy be sent. It is very important to get this information as accurately as possible, as the difference of a few degrees in latitude or a few minutes of time can make all the difference in our natal chart. Find out all about your energetic blueprint today! Most people know their birth date and place. 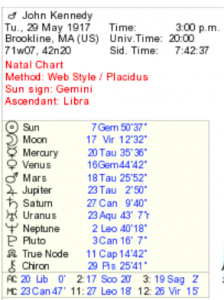 If you absolutely do not know your birth time, it is still possible to plot your natal chart, but it will be missing key pieces of information. In this case, you will not know your rising sign. Our rising sign is one of the three main components of understanding who we are, along with our sun and our moon. If you don’t have this information, it may also be fun to look up the natal chart of a friend or family member…with their permission, of course! This gives you tremendous insights into their character and enhances your relationship with them as you get to know them on a deeper level. You will be brought to the following screen. 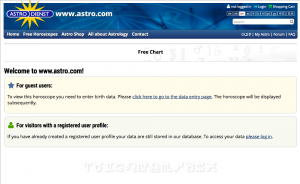 Of course, you’re welcome to create a user profile to take advantage of the richness offered at astro.com, but you can also simply click under the “For guest users:” box to access the data entry page. Here is the page where you enter your pertinent information, including your birth place, date, and time. The fields will be blank. You can see here I’ve entered in the relevant information for John F. Kennedy Jr.
Click continue, and voila! 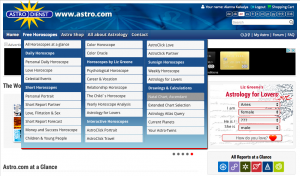 You now have your astrological blueprint! Voila! 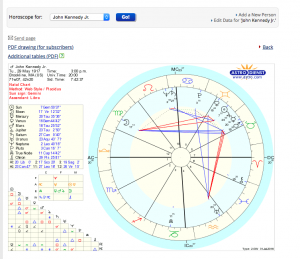 Natal Chart is ready! From this chart, you see your Sun, Moon and Rising signs: the big three elements of your personal natal chart. To find your Sun, Moon and Rising (Ascendant) signs on this page, locate the box on the upper left corner of the chart, just under your name and birth information. The first listing in the box indicates your Sun sign. In the case of JFK, it is “Gem,” which is short for Gemini. The numbers around “Gem” indicate the degrees or the specific position of the sun within Gemini at the time of his birth. We don’t need that information for the time being. The second listing in the box indicates your Moon sign. In JFK’s case, it is “Vir,” which is short for Virgo. At the bottom of the box, you’ll see a listing for “AC.” This is your ascendant, or your rising sign (ascendant and rising sign are synonyms). JFK’s rising sign is “Lib,” short for Libra. Just focus on the first sign indicated in that particular line, as that’s the information we need at this time. Make sure to locate all three: your sun, moon, and rising sign! Now, imagine lying down and holding your natal chart above your head so you can see it. This was the exact location of all the planets at the time of your birth! The moon was in the position in the sky shown on the chart, as was the sun. 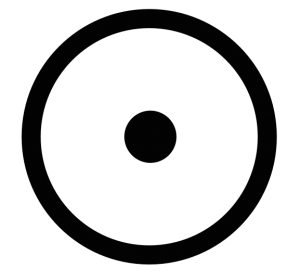 If either of these symbols falls below the heavy black horizontal line in the middle, then it indicates one was below the horizon when you were born. If you were born at night, you will likely find the sun below the horizon line. You now have the power of the stars in your hands! This natal chart is like your energetic DNA. Learning how to decode it shows your tendencies, habits, patterns and potential. With this chart, you see where you express the low side of your energetic potential, and how you then need to move toward expressing the high side. Within this chart lies the clues of your history, your destiny and everything in between. Use this knowledge to empower yourself to life your best life to the fullest expression of your astrological potential!